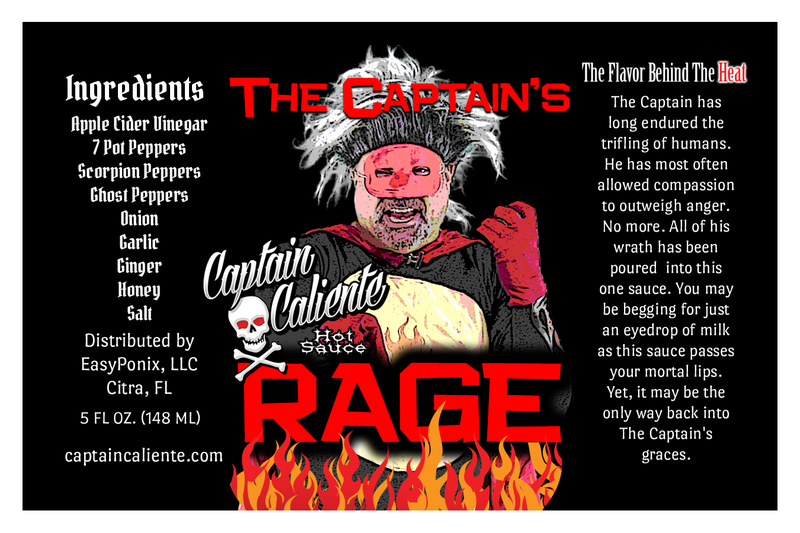 The Captain’s Rage is a sauce that will leave your mouth burning. And there is good reason. 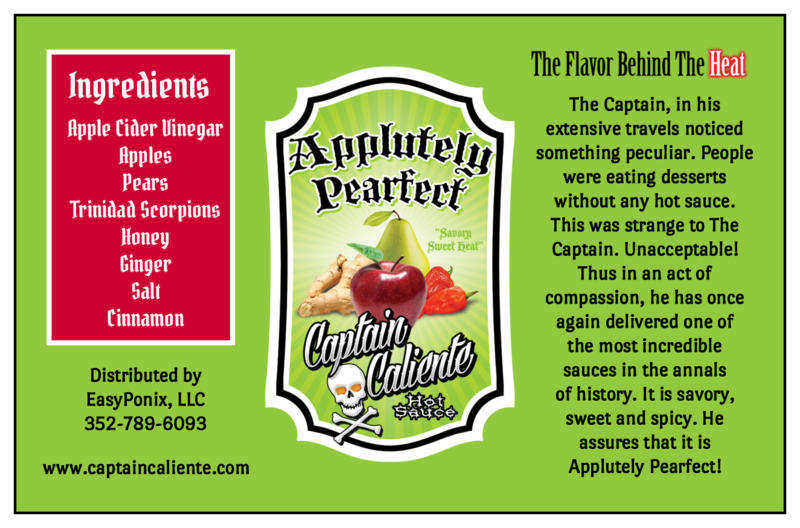 The Captain has walked the earth for many long years cheering for mankind’s triumphs and sneering at their failures. The kindness in his heart has mostly turned him to compassion for mortals. But there are those who have pushed too hard against sanity. No longer shall The Captain sit idly by to watch carbon based lifeforms run rough shot over all that The Captain holds dear. Driving like maniacs, selfishly concerned with one’s own interests over that of the many, eating mild sauces. 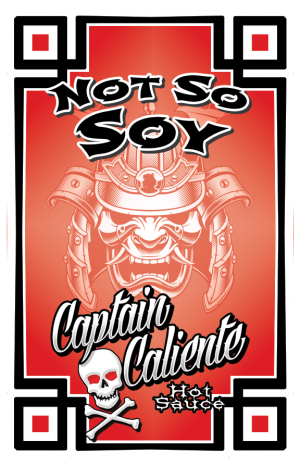 No more shall The Captain turn to compassion rather than RAGE. He has poured all of his wrath into this one bottle. You will most likely be begging for a drop of milk as it passes your mortal lips. It goes without saying that the sauce is flavorful. 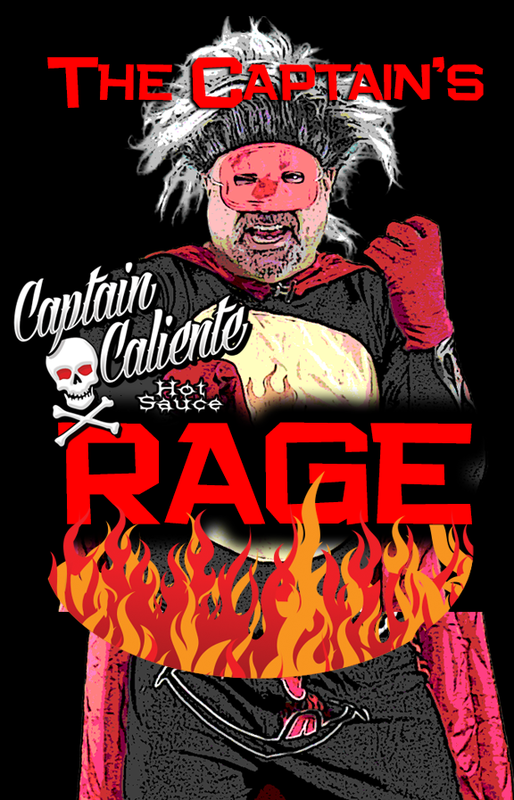 Another thing that pisses him off are those sauces that are just blistering hot for the sake of being hot. Madness. 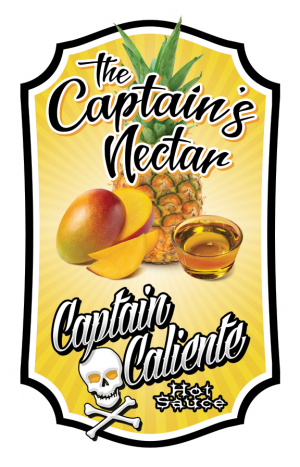 This is considered a mortal sin by The Captain. 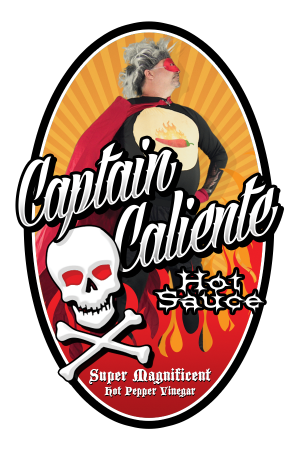 You may be burning while taking this sauce yet, it may be the only way back into The Captain’s good graces.